Experienced, thorough and effective representation for individuals and businesses The Law Office of Michael Stafford is dedicated to providing effective legal solutions and services to individuals and small and mid-size businesses in Glendale and surrounding communities in southern California. Michael N. Stafford takes pride in building strong and trusted relationships with his clients and has earned the respect of his peers as well. He is AV Preeminent Peer Review Rated by Martindale-Hubbell for his high ethical standards and professional ability. Whether helping to settle a contract dispute or a commercial real estate sale, or putting together a thoughtful and valid estate plan to protect your family, assets and business, Michael N. Stafford protects you and your business at every step, both in and out of court. He also provides counsel to help you accomplish your legal goals, minimize risk and avoid being sued. Helping clients achieve their goals The Law Office of Michael Stafford works to resolve your legal issues in the most timely, efficient and affordable manner. Michael N. Stafford listens closely to your concerns and tailors his services to match your needs. He gives you a thorough understanding of the law, its relationship to your situation and the possible outcomes. You are fully equipped to make the most informed decisions at every stage of the legal process. When litigation is necessary, Michael N. Stafford is a fierce legal advocate who aggressively protects your interests whether you are the plaintiff or the defendant. The Law Office of Michael Stafford can assist you and your business in the following areas: Business law Michael N. Stafford represents businesses on matters such as formation, mergers and acquisitions, buy/sell agreements, stock and asset sales and purchases, contract drafting and negotiations, employment agreements, trademark registration, and business succession planning. Real estate Michael N. Stafford provides assistance in commercial and residential real estate matters, purchases, sales, easements, leases, option agreements, construction agreements, and restrictive covenants. He anticipates issues and answers your questions about all types of real estate matters. Estate planning Regardless of the size or complexity of your estate, the Law Office of Michael Stafford is prepared to assist you with wills, trusts, guardianships, powers of attorney and other mechanisms to protect you and your loved ones in case of accident, disability, illness or death. Successfully serving clients in California The Law Office of Michael Stafford represents clients in Los Angeles, Riverside, San Bernardino and Orange Counties and surrounding areas in Southern California. Trusted attorney in Glendale ready to assist you and your business To find out how Michael N. Stafford can help you or your business, call the Law Office of Michael Stafford at 818-247-4730 to schedule a consultation, or contact the firm online. Trusted business ally If you are planning to start your own business in California, or if you want to expand your current business, an experienced and knowledgeable business law attorney can help expedite the process and ensure your success. The Law Office of Michael Stafford assists individuals and businesses of all sizes with a full range of legal services, including: Business formation and advice Purchase, mergers and sales of businesses Due diligence Financial investment counseling Contract review and development Breach of contract Buy and sell agreements Commercial and civil litigation Shareholder disputes With more than 40 years of industry experience, Michael N. Stafford is well prepared to handle business legal issues of any size or complexity. If litigation becomes necessary, he works tirelessly to defend your rights in court and provides the best possible results for your case. Realizing your business dreams A focus of our firm is helping clients start their own businesses. Michael N. Stafford reviews your business plans and advises on issues involved in business formation and maintenance, including potential liability, corporate entity formation and tax structures. Once your business has been established, he continues to help it grow by advising on insurance coverage, investment strategies and corporate compliance issues. He also looks after your best interests by finding strategies to limit your personal liability and increase your bottom line. Helping business owners move forward The Law Office of Michael Stafford works closely with business owners to ensure businesses run smoothly. We often negotiate and draft contracts and buy-and-sell agreements, assist with corporate compliance measures and tax filing, and represent businesses in shareholder disputes and commercial litigation cases. Michael N. Stafford is a seasoned negotiator and litigator and knows how to best represent your financial interests, successfully resolving your issues in the boardroom or the courtroom. Protect your business today The Law Office of Michael Stafford has the ability and experience to help your business succeed. Call Michael N. Stafford today at 818-247-4730 or contact the firm online to schedule your initial consultation. Biography: Michael N. Stafford is a graduate of California State University at Los Angeles. He is a graduate of Loyola University School of Law, where he attained Dean's List honors, the Saint Thomas More Law Honor Society and a Juris Doctor degree. 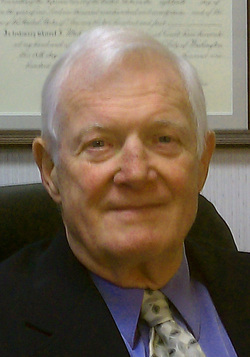 Upon graduating from law school, in 1971, Mr. Stafford obtained positions with Thrifty Drug Stores Co., Inc., developing shopping centers, and with Beneficial Standard Corporation as corporate assistant secretary. Having gained business acumen, Mr. Stafford joined the law firm of Wadsworth, Fraser & Dahl, where he specialized in business litigation and after a number of years became a partner, with friends, at O'Rourke, Stafford & Allan. As a partner, Mr. Stafford has personally represented such companies as Clear Channel Outdoor and First American Title Company of Los Angeles. Mr. Stafford has represented businesses and individuals in the creation of business entities, mergers, sales and litigation of disputes and has always sought to resolve the problem and avoid the high cost of litigation. While representing his clients, Mr. Stafford has been involved in numerous appeals, three of which were published. Mr. Stafford has served as a court-appointed Arbitrator and on occasion as Judge Pro Tem for the Glendale Court and has served as a Trustee of the Los Angeles County Bar Association and as President of the Glendale Bar Association. After years as a partner of O'Rourke, Stafford & Allan, Mr. Stafford founded the Law Offices of Michael Stafford, which is now located at 144 N. Glendale Ave., Suite 108, Glendale. Mr. Stafford utilizes the modern approach of associating with various attorneys in the Glendale, Burbank and Pasadena areas, thereby applying a vast and diverse knowledge of the law for the benefit of his clients.